Eco-fatalism: Are we all f***ed? I certainly meet and read of a number of eco-fatalists who believe it is already too late to take action to save humanity. Essentially either we’ve already passed key tipping points or we’ll fail to take the necessary action to stop us passing them over the coming years: scary, depressing and most of all, disempowering. 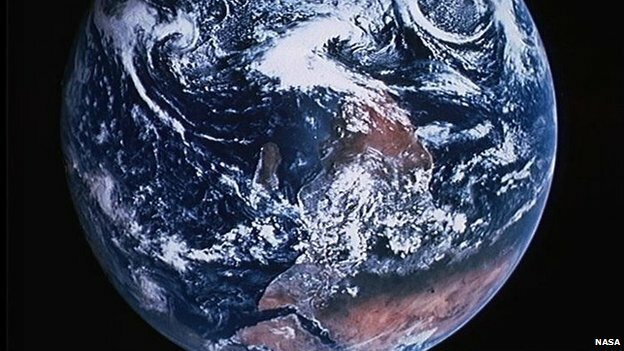 In the Spring edition of Earthmatters, the Friends of the Earth magazine, Jonathon Porritt poses the question ‘Who says we’re f***ed?’ He cites Stephen Emmott and his new book ‘Ten Billion’, who basically puts the eco-fatalist position. As both per capita human impact on the planet and population continue to grow the result is catastrophe. Either population or per capita impact need to fall, or both, for humanity to have a chance. 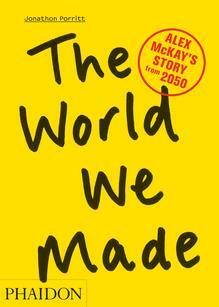 Jonathon Porritt’s book ‘The World We Made’ is set in 2050, and is one of the few optimistic books on long term sustainability. It’s a good read and I’d heartily recommend it. I guess basically I’m with Porritt on this one. It is still possible for humanity to save itself: for per capita impact to rapidly diminish and for population to peak considerably before we get to ten billion. I even believe that per capita impact could fall so rapidly that even ten billion would not be an undue strain on the Earth systems. As I said last week, and keep saying, technologically, philosophically and theoretically there is much we could do: it is the political will that is lacking. Even if the chances of success are slim, the struggle for a better future is well worth the effort. It brings us into contact with other people who are passionately working for change, and our numbers are growing, possibly exponentially. Therein lies the key: in democracies numbers matter. Avaaz’s membership has gone from nothing to over 35 million in the last seven years. The Green Party here in the West Midlands seems at long last to be making headway. I was out on the ground canvassing with them in a key ward last week. It’s slow difficult work. We need all hands on deck if we are to prove the eco-fatalists wrong! This entry was posted in Book Review, Climate Change, Environmental, Global on 24 April 2014 by Richard. Humanity’s continued existence is in jeopardy. We have treated Planet Earth like a dustbin, throwing out our rubbish, our toxins, polluting the soil, water and air with scant regard for the long term cumulative effect. It’s made no difference if the government is capitalist or communist; the goals of all governments have been to increase productivity, prosperity and power. These goals must change if humanity is to survive. Long term ecological sustainability and global social justice must become the twin principles by which all policy is framed, investment made and action taken. The macro level indicators are not on our side. Atmospheric Co2 has risen from 285 to over 400ppm and as the latest IPCC reports show we are clearly on course for catastrophic climate change. The ozone hole over Antarctica appears once more to be a concern as more chemicals than the original 13 governed by the Montreal Protocol are thought to be causing damage, or the banned ones are still being used illegally. Ocean acidification continues to grow to existential proportions, yet barely makes the news headlines. The oceans are full of plastic which breaks down and makes its way back up the food chain and into our bodies. The air is becoming unbreathable in countless cities and regions caused by everything from forest fires to car exhaust, coal fired power stations to factory emissions. Of course these incidents of local pollution are linked to global atmospheric pollution. 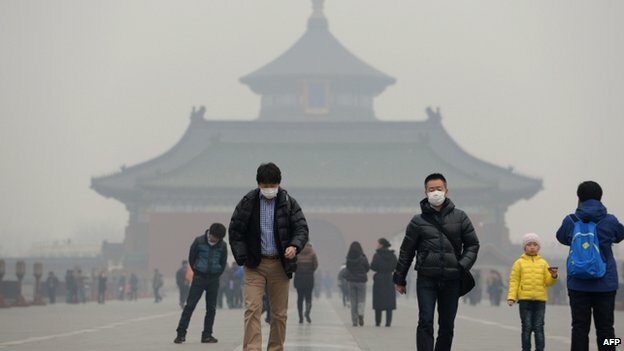 The media still talk about everything in silos: the air quality in Northern Chinese cities as a threat to the Chinese Communist Party as if the party that governs any individual country was really of that much significance, when what really is of significance are these interrelated macro ecological indicators. In the end we all breathe the same air. This is one thing where we truly are ‘all in it together’. Technologically, philosophically and theoretically there is much that we as a species could do to save ourselves. There is precious little evidence that the political will exists for the fundamental changes required. Our collective addiction to wealth and to power, and the shear inertia of the system, will probably cause our species’ extinction, and probably within a shorter time frame than many people would like to contemplate. This is unbearably heart breaking. The only hope I find is in the millions of people who do understand the fundamental changes required and are prepared to work their socks off to bring about radical systemic change. Their views are not represented by mainstream media or political parties in most countries, yet they are increasingly linked together on the streets and on the internet. The challenge before us is immense. If we manage to turn this thing around it will undoubtedly be the greatest achievement in human history. The stakes could not be higher. This entry was posted in Climate Change, Economics, Energy, Environmental, Global, Politics on 16 April 2014 by Richard. Currently about 40% of the global population still rely on directly burning various forms of biomass (wood, charcoal, cow dung, crop residues) for their cooking, mainly on open fires. This causes many health problems, drives deforestation and gathering firewood is a huge drain on people’s time and energy. Also many millions of people use paraffin/kerosene lamps, and this causes a kind of fuel poverty in rural off grid locations where many poor people spend a disproportionate part of their income on kerosene. Also both these practices are bad from a carbon emission point of view. Two charities are pioneering innovative solutions that create new and sustainable businesses that address these issues on the ground in Africa, helping overcome multiple problems from poverty to climate change. Concern Universal is promoting a kind of efficient clay stove that they call a ‘flower pot stove’. These can be made and sold locally so generating new livelihoods, and as they burn less wood this helps decrease pressure on forests, carbon emissions and reduces health problems associated with smoke. 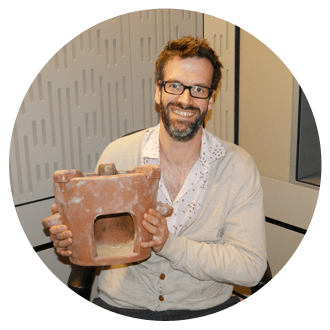 Marcus Brigstocke (my favourite comedian) is doing the Radio 4 appeal on their behalf. Solar Aid is seeking to replace the kerosene lamp with solar powered lights all across Africa. They’ve just sold their millionth lamp, despite working across just 4 of Africa’s 54 states. Their aim is to eradicate the kerosene lamp from Africa by 2020. Again they, like Concern Universal, have an interesting model that combines charity, commercial and entrepreneurial aspects and seeks to solve multiple social, economic and environmental problems simultaneously. I wish them both well. Do explore their websites. This entry was posted in Climate Change, Energy, Global, Social on 8 April 2014 by Richard. Last night I was at a screening of the film Gasland organised by a lovely group of people in Upton Bishop. A very pleasant evening with a good turnout of the local community and lots of homemade cakes! The film was way too long at 107 minutes and very short on accuracy or factual detail, but did have some interesting interviews. Most of the people in the hall last night were already convinced of the case against fracking. For those who simply came to find out more it was not a good place to start and contrasted poorly with the February evening in Ludlow where Prof Michael Rosenbaum gave a very good introduction to the subject. There has been some good coverage of the threats to groundwater and the wider environment caused by fracking. (eg, Prof Ian Stewart BBC 2 Horizon programme ‘Fracking: The New Energy Rush’ and the Ecologist TV video ‘Fracking Hell: The Untold Story’) The cumulative impact of these local disasters will have enormous economic consequences as the law suits pile up. However the fact that fracking is probably even worse than coal from a climate change point of view gets very much less coverage. Three Cornell professors, having analysed the climate change implications of fracking sum up the situation with the warning that “shale gas is not a suitable bridge fuel for the 21st Century”. This entry was posted in Climate Change, Energy, Environmental, Local on 5 April 2014 by Richard.